There are some great new exhibition stands on the market. One of which is the flexible stealth stand which combines the best of two worlds – it’s a banner stand system that can be linked. So you get all the ease of moving and setting up your stand plus the ability to add as many additional sections as you like, seamlessly. 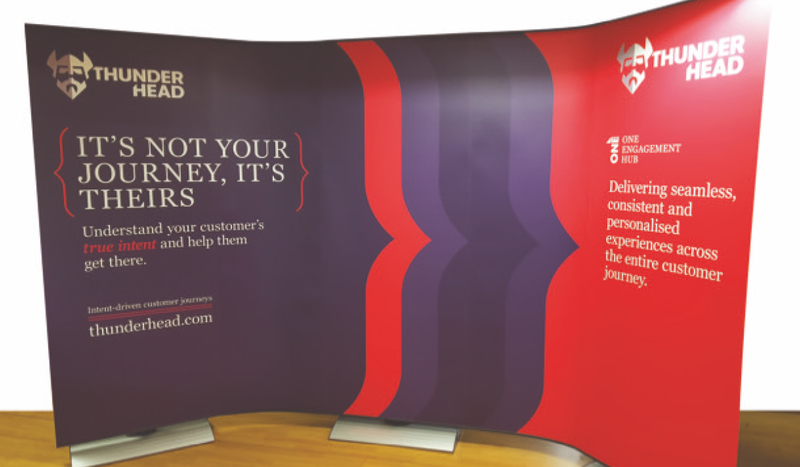 This innovative modular system is incredibly flexible when it comes to size and shape and is therefore perfect for not just for exhibitions and trade shows but presentations and seminars, in fact anywhere where you need a really good quality graphic backdrop. Our stealth stands consist of flat and bendable joining units that enable you to create continuous graphic display walls. They can be used singularly or linked to form straight, curved or angled displays. Flexible enough to fit into corners, they are great for free standing exhibition booths or shell schemes. They can easily be repositioned on-site if the space available isn’t quite the size and shape you thought it would be. If you need an exhibition stand that gives you seamless graphics with lots of different configuration options whilst being very easy to set up, then get in touch and have a chat with us about our stealth range.